This half-day symposium brought together international artists, designers, scientists and educators for talks, discussions and presentations on topics such as valuing non-human forms of life as collaborators, artistic and scientific modes of inquiry and ethical considerations in bio-art and bio-design practices. 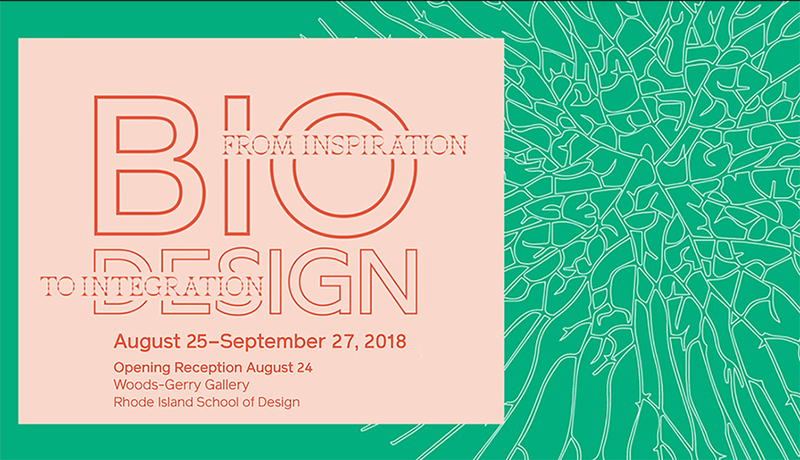 The event kicked off a month-long exhibition of the same name and marked the book release of the 2018 edition of Biodesign: Nature + Science + Creativity (MoMA) by exhibition co-curator and symposium speaker William Myers. The symposium took place Friday, August 24 in the Metcalf Auditorium, Chace Center/RISD Museum, 20 North Main Street, Providence, RI. This collection contains video recordings of the symposium presentations.